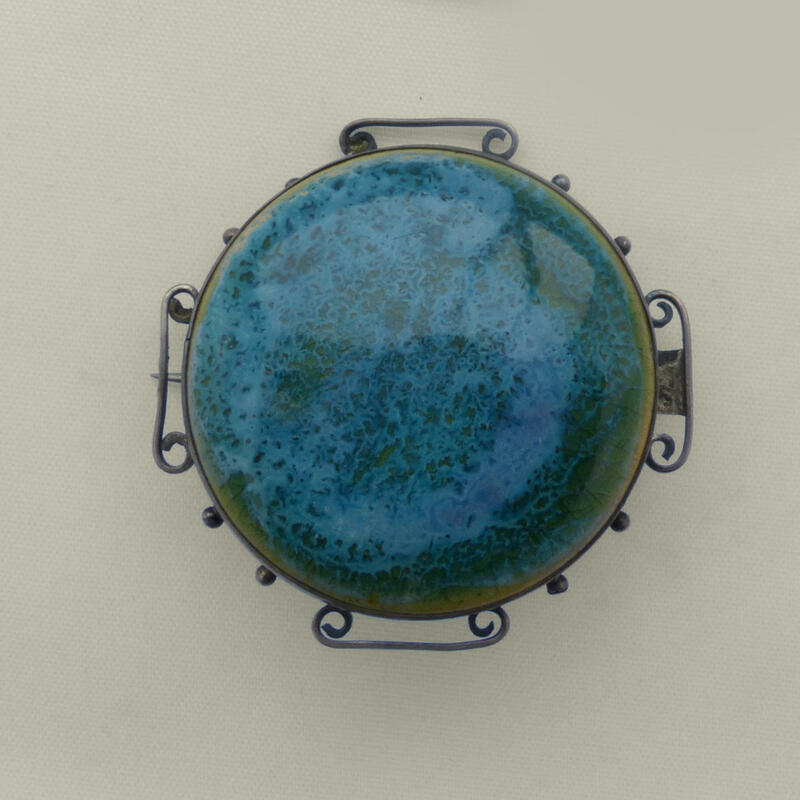 Silver hand crafted brooch with a ceramic Ruskin centre in wonderful shades of blue. 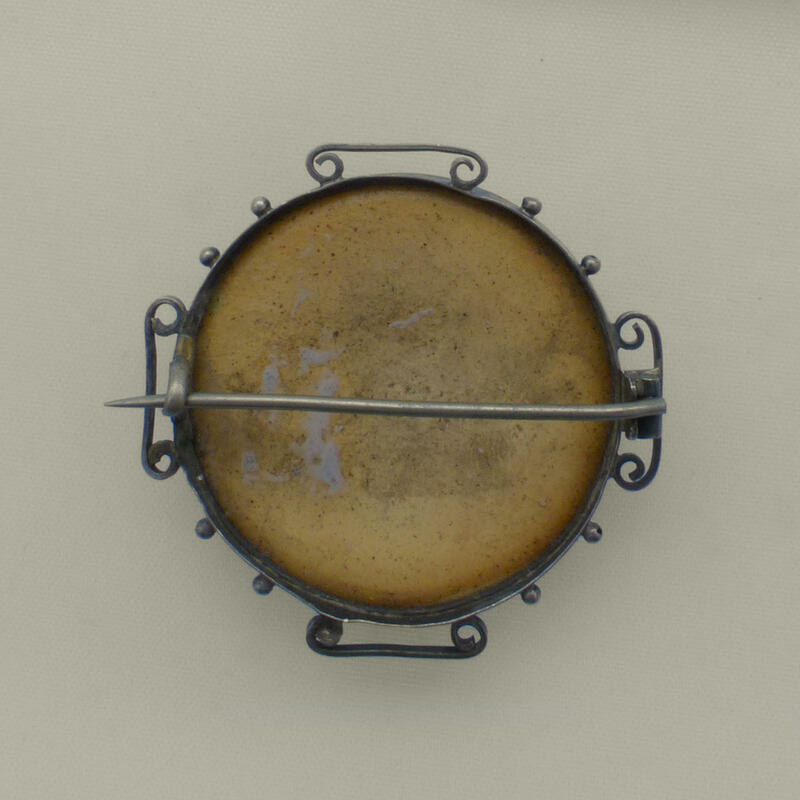 Though unsigned, the ceramic cabochon is of the correct date and shade. Unusual size and quality.